The following story really caught my attention and I just had to write it down. It’s another example of women who took charge during the war. Thurman died in 2010 at the age of 101 and was very proud of his grandmother Eliza. I miss him greatly but he is never more than a story away. The names of the two soldiers in this story have been lost forever. Their names I chose at random. Everything else is just as Thurman told it to me. Thomas Maness (1834-1900) had no passion for war. His middle initial “P” stood for nothing in particular. “Thomas ‘P.’ Maness.” He just liked the sound of it. It seemed to add a bit of notoriety to an otherwise common name. The sound had to be considerably more pleasant than those emanating from the battlefields of war. At the age of thirty, Thomas had devoted the last two years of his life to staying one step ahead of conscription. 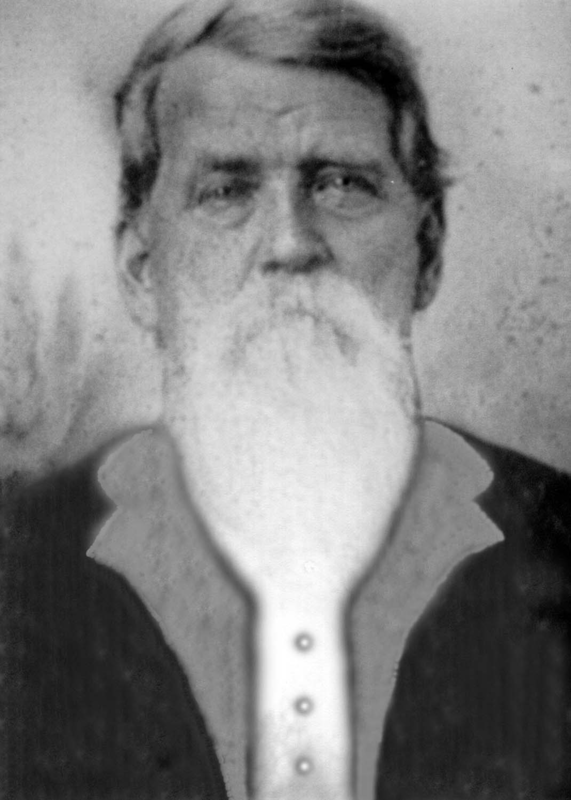 First as a constable, and then as a teacher, he had successfully maintained an exempt status. By the fall of 1864, he had exhausted all legal options. No one seemed exempt from the scourge that plagued the land. Thomas had never been one to run away from anything, particularly a fight. This time it was different. There was too much at stake for a man to venture into a fight absent of his heart. Thomas had no convictions, one way or the other. He would have preferred to awaken one morning to find it had all been a dream, but denial for the earthly reality of things was a luxury afforded only the angels in heaven. 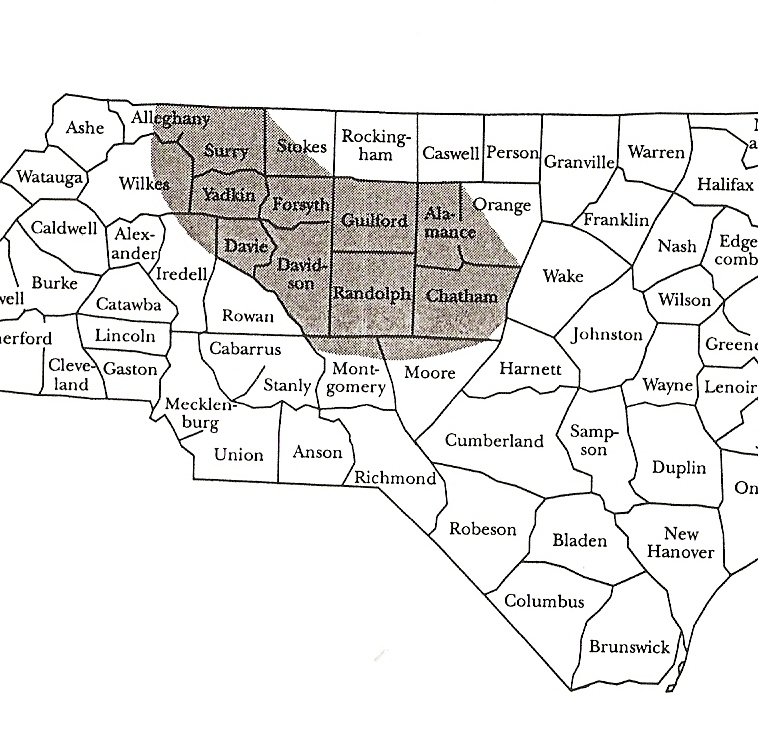 Shaded area, including upper Moore County, NC, was a principle area of Unionist activity. By 1864, the Southern army had intensified its efforts to round up Outlyers and conscript them into military service. 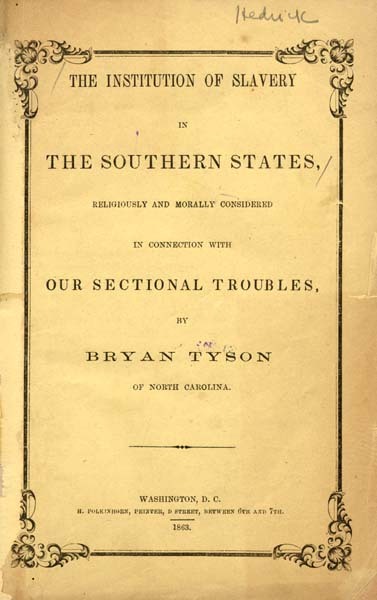 Thomas, like so many men in upper Moore County, was determined to defeat their efforts. Evading capture proved more difficult, with each passing day. Small detachments of Confederate soldiers were ordered to the homes of men known to be afoot. Their orders were to remain there for three weeks in an attempt to starve those men from hiding. In the winter of 1864, they came in search of Thomas. She tried to ignore their presence, and concentrated on her chores. Hungry mouths had to be fed before anything else could be considered. Her stepson Benton (1858-1941) was six years old, and her daughter Mary Ella (1862-1942), only two. Recent changes in her body suggested that another one was on the way. After the children were fed, she again directed her attention outside. Peering through cracks in the shutters, she saw them hang a portion of a side of beef from a nearby limb. She suspected it was to be their food supply, while they laid in wait for her husband. She whispered under her breath, “That ain’t gonna last them long.” They snuggled their collars about their necks, to ward off a nip in the air. They seemed scantly clothed for the weather. They set about the business of building a fire, and rejoiced in its rewards. A cloud of steam shrouded their faces, as it rose from the tin cups they clutched with both hands. They cherished the coffee’s warmth more than its flavor. Their neatly stacked rifles pointed towards heaven at precisely the same angle. It was obvious from a considerable distance that one of them was wounded, for he walked with a noticeable limp. He had probably been assigned this detail while awaiting his wounds to heal. The other had a scar across his cheek, which might suggest that he too had fresh recollections of the cost of war. He was in the process of growing a beard, which would eventually conceal his disfigured face. His youthfulness suggested that might yet take awhile. Once, when he caught Mary Eliza staring at him through the shutters, he turned quickly, presenting her with only the more symmetrical side of his face. As far as their physical attributes, their age troubled her most. At almost twenty years of age, she figured she had two or three years on the oldest. War had an appetite for boys, young in mind and body. Ravishing youthful bodies only left war thirsty for more. There was the notion that she should feel contempt for those that came in search of her husband. Yet, she felt something entirely different. A sense of compassion swirled around inside her head before finally taking root. How could she claim the rewards of heaven while knowing she had joyfully watched as others had suffered? She hung her head and cried, as mothers are apt to do. She hoped that which stirred within her womb would be spared the carnage of war. It seemed that death came much too quickly, on its own accord, without war spurring it on. Thomas’ safety no longer consumed her, but rather the safety and sanity of everyone involved. Thomas was undoubtedly the luckiest one of the three. The soldiers’ constant presence deterred Thomas little. He continued to come and go freely between midnight and dawn. Mary Eliza saw to it that he always had plenty to eat. He would lie with her and the children a few hours each night, and be gone before the break of day. The soldiers never ventured inside the house, and she never quite understood why. She suspected they were waiting for Thomas to grow comfortable and careless. Perhaps they intended to storm him some night, and in front of his wife and children, convert him to their way of thinking. Was their youthfulness to be considered the perfect disguise, or was it the only thing holding them back? Thomas could find no words to prove her wrong. He held her tightly in his arms, while setting her spirit free. “Eliza, you do as God would expect of you; no more and certainly no less.” He kissed her upon the forehead before settling in for a few hours sleep. He had no idea of the power he had unknowingly unleashed. She awoke at dawn to find her husband gone again. She cracked the shutters just enough to watch the soldiers as they went about their morning chores. She watched as they took down the last of their rations, with still two weeks left to go. The weather had taken a turn for the worst and she feared for their safety. “I’m Mary Eliza Maness; this here’s Benton and Mary Ella.” Little Benton took considerable offense to anyone that would harm his father. “Are you gonna hurt my papa?” There was no reply forthcoming. Her outright openness took Johnson by surprise. “Well, yes Ma’am, that is if we happen to see him, that is. Course, if we don’t ever see him, well, that might prove to be a troublesome chore.” A smile graced his lips momentarily, before taking a permanent leave of absence. “Very well, as you wish, but the offer still stands.” With those departing words, she gathered her children and returned to the comforts of an open fire, and the smell of cornbread baking. They leaned their rifles against the wall and quickly turned their backsides to the fire, twiddling their fingers behind them. The silence gave way to the popping and cracking of the glowing hardwood embers. It was an awkward situation for all of them, but the warmth of the fire and the smell of food bridged that awesome gap between friends and would be foes. The soldiers quickly ate their fill. 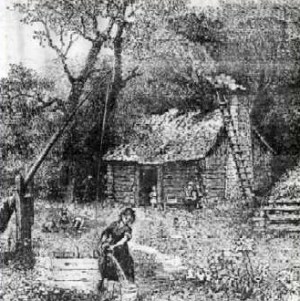 After thanking Mary Eliza for her generous hospitality, they retreated outside, back to the less hospitable elements of nature. It was as though they had risen through the depths of hell to carouse the streets of heaven, only to be cast into the former. Thomas would understand such things. The heaven they had only briefly encountered was the same heaven he refused to surrender. Late that night, Mary Eliza told Thomas all that had happened. The spirit of God stirred within her heart as she spoke. Like that which stirred within her womb, it was invisible, yet convincingly undeniable. “Tommy, you should have seen them boys! They ate like there weren’t no tomorrow.” Thomas wondered if his brother Reuben had acted likewise, the day before the bullet found its mark. He felt a twinge of resentment rising from the depths within. Reuben had died, yet they still lived. What made them so special? Still, he trusted Mary Eliza, and was at the mercy of her feminine intuition. He had seen it work miracles before. The next evening she invited them in, informing them that supper was ready. It was a call she would not have to make twice. Unlike her stepson Benton, they came forthwith, as the crow would fly, only twice as eager. They gorged themselves on the meal set before them until the contentment of their bellies loosened their tongues. Johnson was the first to acknowledge the similarities. “Ma’am, you cook like my mama does. This meal pleasantly reminds me of her.” He paused a moment to let the reality of what he had said fully sink in. Precious memories flooded his soul to the brink of fullness and beyond. The excess stood in pools about his eyes. How he wished he was home again. War had taken him far away, and now he wondered how he would ever find his way back. Jones was also moved to speak. “Ma’am, it reminds me of home too. The smell of this place brings home a lot closer. I can almost reach-out and touch it.” He raked a sleeve across his eyes before continuing. “Truth is, it’ll be a miracle if we make it back. This may be as close as we ever get. Ma’am, thank you for reminding us of the way things used to be.” She noticed tears filling his eyes. They threatened to spill over those self-imposed levies of glory and honor. Then, there was only silence. No one uttered a word. There was no need to speak. It would have tainted the moment. In that one fleeting moment of self-inflicted solitude, their spirits merged as one, but nothing lasts forever, certainly not silence. She quickly rose and gathered the dishes, wiping a tear as she went. The clattering of plates, forks and knives, signaled it was time to move on. Silence can only endure so long before it is emptied of things to say. Emotion is conveyed in one of two ways: In words, or in the absence thereof. There was no denying the latter. When one heart touches another, there is only the deafening sound of silence. In a bold move she changed the subject, “Why don’t you boys stay the night. There’s a spare bedroom in back, and Tommy wouldn’t mind if you made yourselves at home.” With the sound of her words still ringing in her ears, she stopped a moment to consider what had possessed her say such a thing. The thought had never crossed her mind; yet had found its way into words. Johnson wanted to debate the issue. “Josh, who’s gonna know? Besides, the way I see it, one man’s bullet hurts ‘bout as much as the next man’s does. We’ve ‘bout froze ourselves to death out there. We ain’t got nothin’ to eat. A bullet might bring us some welcomed relief, but in the mean time, I’m for accepting this lady’s hospitality.” Without any further discussion, Johnson accepted her invitation for the both of them. “Ma’am, we’re much obliged. We’ll try not to get under foot and we’ll be up and out of the house before the first light.” That was good, for she knew how the neighbors loved to talk. “Tommy, trust me. They mean you no harm. They’re just a couple of boys away from home. They’re wonderin’ if they will ever see home again. The least we can do is ease their pain and suffering. They’ll be up and out before first light. You just make sure you’re gone by then. As long as they don’t see you, you ain’t got nothin’ to fear.” She pointed to their rifles still leaning against the wall. “See, they ain’t concerned with you.” Thomas took his wife at her word, putting his fate in her hands. He continued to slip in and out of the house, under the cover of darkness. Johnson and Jones were always asleep long before midnight. Sometimes, between midnight and dawn, Thomas would sit by the fire, cleaning their rifles and shining their boots as they slept. He had no understanding of what possessed him to do such a thing, only that his brother Reuben would approve. Thomas considered it his contribution to the war. The soldiers never acknowledged his deeds, possibly for fear of learning the truth. They rightly judged that the proper etiquette would be never to ask too many questions. Many nights they sat by the fire and conversed with Mary Eliza. She was greatly impressed by their inherent singing abilities. She had never heard anything like it. Josh sang the prettiest tenor Mary Eliza had ever heard. It rivaled that of an angel. The sound of the two of them together was unlike anything to be heard on earth. The next two weeks melted away, like butter in a warm skillet. No one wanted to talk about it, but soon they would have to go. She hugged them both, one last time, and watched until they walked out of sight. A cold feeling descended upon her, more chilling than the winter’s wind. She suddenly realized that she would never see them again. She was all too familiar with that eerie feeling, which arose from somewhere within. She had felt it before, that day when Reuben went away. Now, that same chilly hand of death had reached out and touched her on the shoulder again. On April 9 1865, General Lee surrendered. The war was finally over. The long and slow procession of men returning home began, but Duncan and Josh were never among them. After a year of praying and hoping that her feminine intuition was wrong, Mary Eliza abandoned all hope of ever seeing them again; at least upon this earth. On August 5, 1865 Mary Eliza and Thomas’ second child was born. They named him Reuben. He was not only the namesake of Thomas’ brother, but also Josh, Duncan, and all those soldiers who had given their all in the pursuit of Glory and Honor. It had been a long, hard struggle. Four years of death and destruction were finally over, but all would never be forgotten. Those two men, whom I shall now refrain from calling boys, willingly marched into the jaws of hell, while sparing Tommy Maness. It was something the Maness family would never forget. Mary Eliza would always remember those two soldiers she befriended in the winter of ’64. She took comfort in knowing that she had fulfilled her Christian obligation to alleviate pain and suffering – if only for awhile. She felt it important enough to pass this story on to her son Reuben. Reuben Maness (1865-1953) would often recount this story to his children. His son Thurman (1909-2010) committed it to memory as a very young child and I was inspired to put it to paper. All involved have long since departed this life, but as long as their story continues to touch our hearts and minds, they shall live forever. —– Lacy A. Garner, Jr.
How incredible to have such a story to pass down…and beautifully written. Rachel Knight: Does a Photo of Her Exist? March 26, 2019: The University of Central Arkansas and I Meet to View and Discuss the Free State of Jones! Twitter’s “Historians At The Movies,” #HATM, to watch Free State of Jones this Sunday! renegadesouth on Hear my 2015 Interview about the “Free State of Jones” at 2-3 pm today!